Make life one long weekend! Like all worthy pursuits, practice makes perfect, so practice the art of relaxation! Come into Tiki Lounge, which features Tommy Bahama as its main brand. 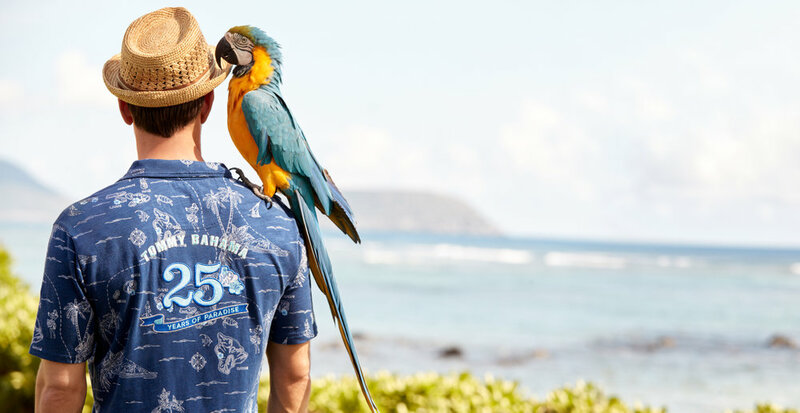 We carry the brand’s full line of clothing, with printed silk shirts, linen shirts and pants so you can relax in Los Cabos in style. And you’ll always find 50% discounts!